The Canadian Government is developing the Canadian Minerals and Metals Plan. 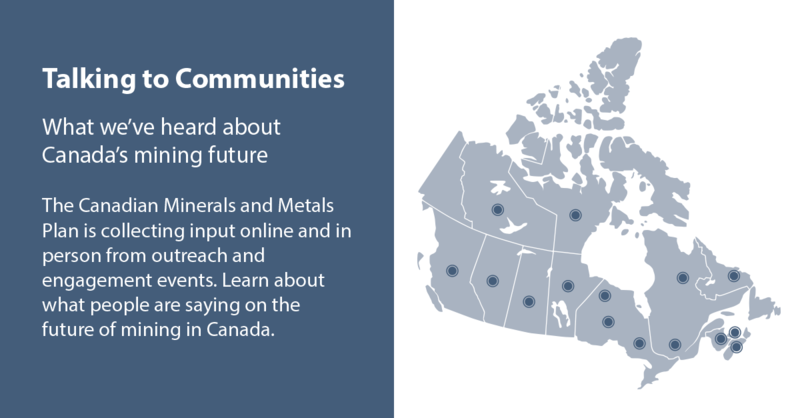 An opportunity to take stock of Canada’s mining industry, to consider where it is heading—and together with communities and stakeholders—to put plans in place to establish Canada as the uncontested global mining leader. The first phase of drafting the plan is to have a conversation with communities and stakeholders nationwide. The early results are in and they point to sustained transparent engagement with affected communities and a strong commitment to the environment. Natural Resources Canada used 76engage to power their online consultations. Below is a snippet of some of the feedback they’ve received to-date. Marcelo heads up 76design, the company behind 76engage. A product manager with over 20 years of experience, Marcelo works with designers and web developers to create products that engage communities online.